When buying a home, you want to ensure you’re getting the best value for the investment. In addition to considering location and square footage, take into account recent updates, flooring, and the condition of the kitchen. To maximize your return on investment, here are a few features to keep an eye out for. It can be costly to replace old or outdated appliances, so finding a home that already has new ones is a huge plus. In addition to saving money on updates, you also will not have the stress of hiring contractors. In addition, the newer the appliances, the more life you’ll be able to get out of them, as you can count on them working reliably for years to come. Hardwood floors are long-lasting and create an appealing aesthetic that can work well with almost any decorating style. When buyers purchase older homes, they often have to take out old carpeting to put in wood floors. Instead of spending time and money having old carpets torn up, you’ll be able to enjoy a place that’s move-in ready, helping you to settle in quickly. Hardwood floors will also make the home more marketable in the future, should you decide to sell down the road. Kitchen updates can be costly, so if you find a home with marble or granite countertops that’s within budget, you’re often getting a good deal. These are two of the most coveted countertop materials because of their durability and beauty. Marble and granite are both natural stones, so they’re highly resistant to scratching and cracking. 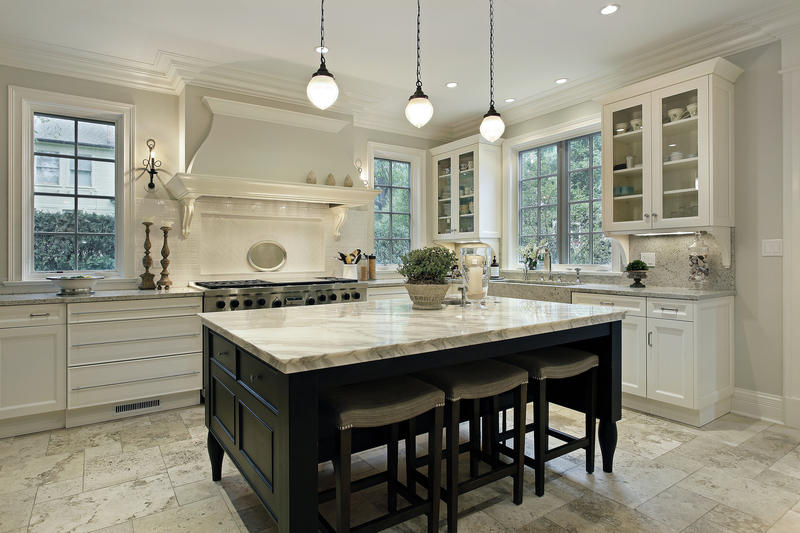 Granite is also resistant to heat, stains, and moisture, making it ideal for families who cook frequently. Similar to installing new appliances and countertops, updating your cabinetry can be costly, particularly in a large kitchen. Look for a home with updated cabinetry, and consider the material as well as how much storage they offer. Look for something durable and built to last, such as veneered wood, which is moisture-resistant and difficult to damage. If you’re interested in buying a home, contact the experts at RPP Sold Team of RE/MAX Plus. This established real estate agency has moved over 2,500 families throughout Monroe County, NY, into homes they love. With their established network and award-winning team, they’ll help you find dream waterfront or luxury properties. To begin the process of buying a home, give them a call at (585) 623-1500 or visit them online.